Juventus were forced to put their Serie A title celebrations on hold after second-placed Napoli drew 1-1 at home to 10-man Genoa on Sunday. 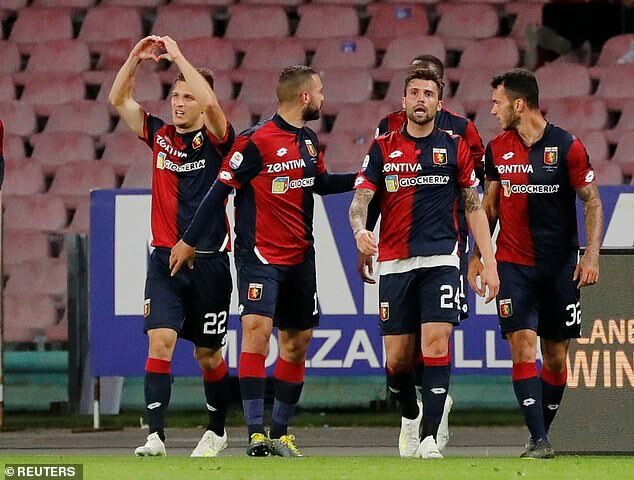 A Genoa win would have handed the Turin side an eighth successive title with a record seven matches to spare. 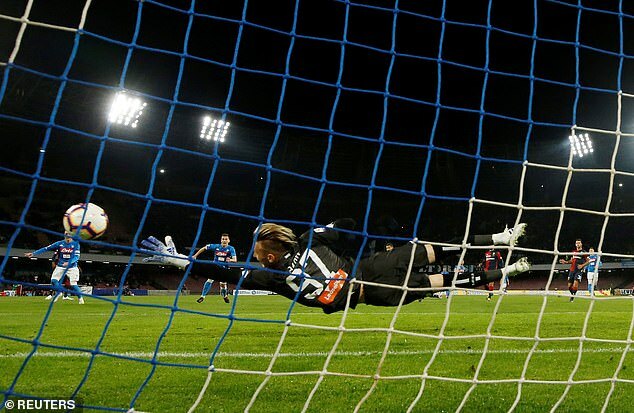 But Napoli’s point was just enough to keep the title race mathematically alive for at least one more week. 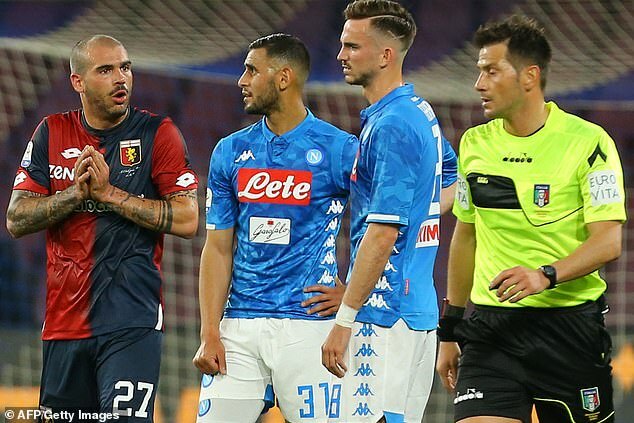 Genoa had Stefano Sturaro sent off for a high challenge on Allan in the 28th minute — the referee changed a yellow card to a red following a VAR review — and Dries Mertens fired Napoli in front six minutes later. 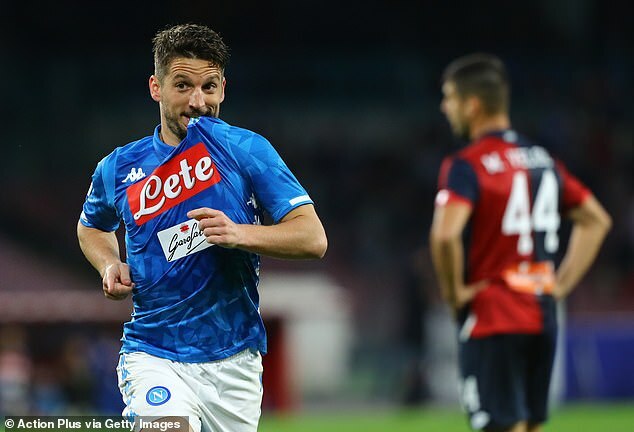 But the visitors refused to give in and Darko Lazovic fired an equaliser in first-half stoppage time, leaving Juventus 20 points clear of Napoli.